Omar is responsible for developing the technology strategy across the Optimiza network. He holds a Master’s degree in Software Engineering from San Jose State University and a Bachelor degree in Electrical Engineering from Jordan University. 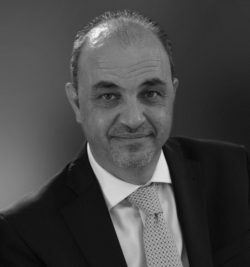 Omar has over 20 years of experience in enterprise software architecture, design, development, and consultancy with international companies such as Oracle and Accenture. He is also an accomplished business solution architect and designer and has delivered successful large-scale ERP and CRM systems implementations.